Ada was designed in-house by MADE Studio. Their aesthetic: on-trend style coupled with top quality execution. The Ada range is sleek and modern, but it's got a timeless story behind it. The range takes its inspiration from vintage sewing boxes – note the curved fronts on the 6 drawers. 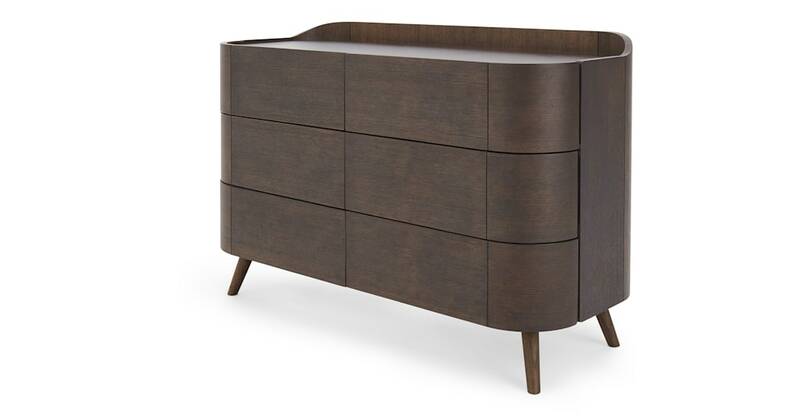 Ample storage plus ample style are what makes this chest of drawers so smart. The pullout drawers are roomy: rummaging for your favourite pair of socks is a thing of the past.